Connecting two mountain peaks, the suspension bridge on the Glacier 3000 is a world first – and visitors enjoy truly stunning views of the Alps on this unique bridge and Peak Walk. 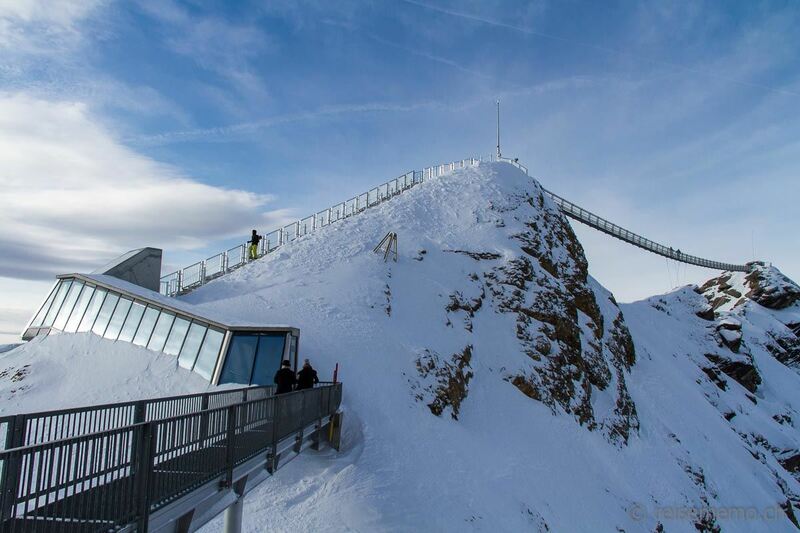 The Glacier 3000 beckons with yet another attraction: A suspension bridge connecting two mountain peaks and world first. The 107 meter-long and 80 centimeters wide bridge connects the «View Point» lookout with the Scex Rouge. And as visitors take to the circular summit tour on the Peak Walk, they have amazing views of the Matterhorn, Mont Blanc Massif, Eiger, Mönch and Jungfrau. Access to the suspension bridge, which, weather permitting, is open year round, is free of charge for visitors to the Glacier 3000. Glacier 3000 is easily accessible by train from the Lake Geneva resorts: there are trains from Lausanne and Montreux to Les Diablerets via Aigle. You can also reach the Glacier 3000 from Interlaken via Spiez and Gstaad.